This is the 1/48 AMT A-20G Havoc, which is unfortunately now out of production. 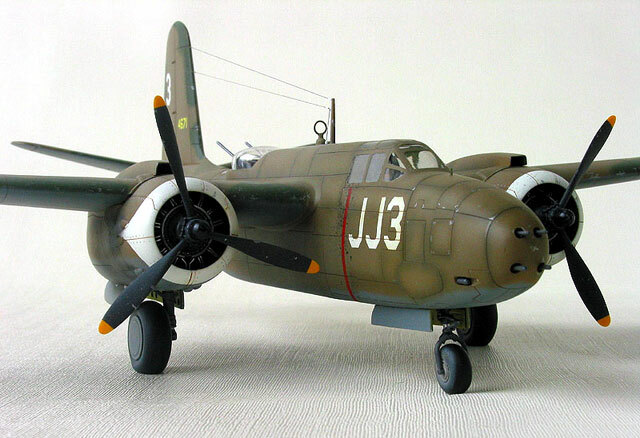 The model was built mostly out of the box, with paper belts added to the pilot's seat and ignition wires added to the engines. The exaggerated "fish scale" tire treads were simply sanded off and the main landing gear moved forward by 1/4". The dihedral of the horizontal tail was increased by approximately 10 degrees by steaming and gently bending the stabilizers. 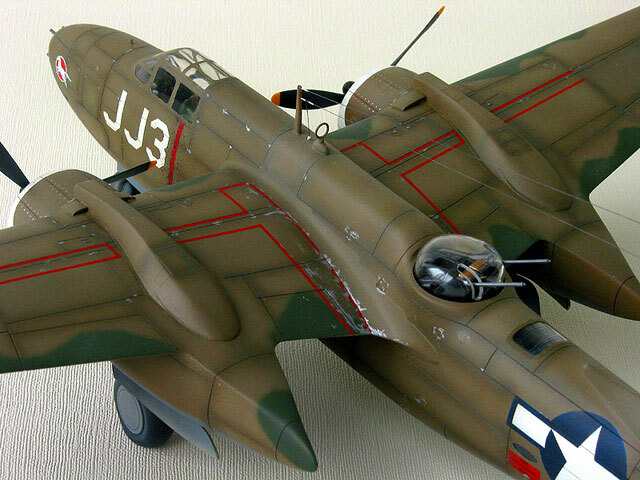 The model was painted up in the markings of a stateside training unit as shown in the profile on the back cover of the Squadron/Signal A-20G In Action Book. The nose art is an ALPS printed decal while the buzz numbers and national insignia were painted on using masks cut from frisket film. The kit insignia decals were applied to the frisket to be used as a guide and the masks were carefully cut out using a bow compass and Xacto.